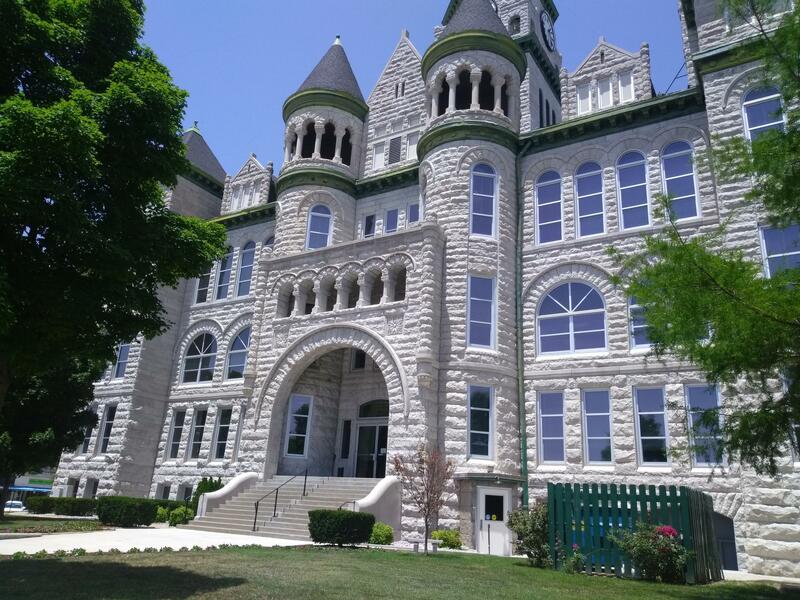 For this afternoon’s Sense of Community series on Opportunities for Veterans, we’re in the municipal courtroom of Carthage, Missouri. It has the typical judge’s bench, two tables for legal counsel, wooden pews for the public, and a bailiff. But this is no ordinary courtroom. It’s a veteran treatment court. It begins with the Pledge of Allegiance and a prayer. As each person’s name is called—all veterans—Judge John Nicholas rises to shake each person’s hand, smile, and look them in the eye. As each veteran approaches the bench, he or she is flanked to the right and left by a mentor and treatment team members. All participants here are convicted felons. Judge Nicholas says, for many, this might be the last opportunity to regain their lives. 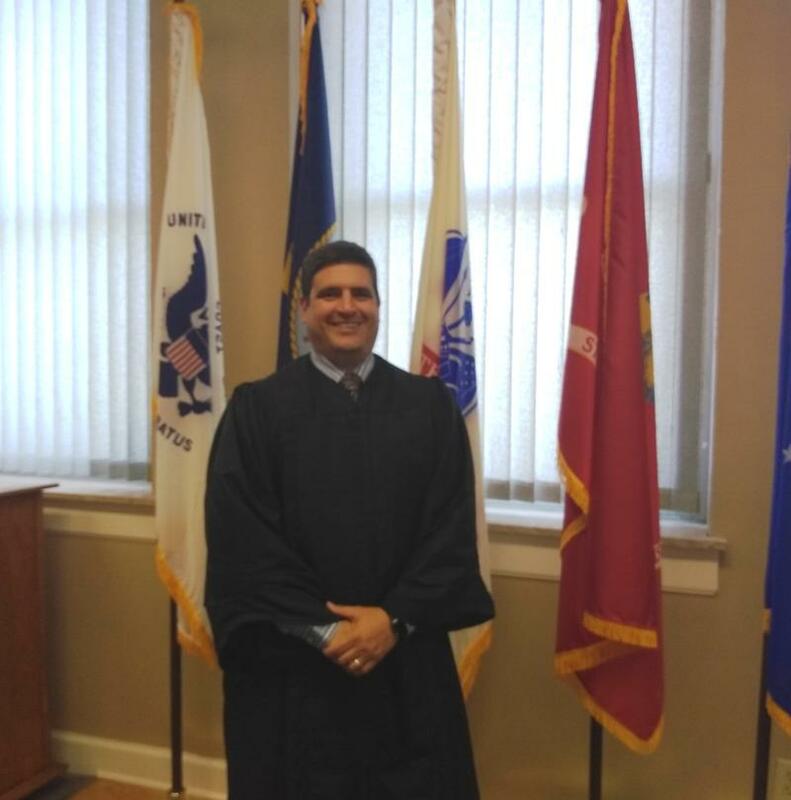 “In doing some research on veteran’s treatment court generally, I became convinced that sense of brotherhood that you can develop in the military when serving alongside others, and that teamwork aspect and familial type approach could be developed very easily in treatment court where we have a team or family,” explains Judge Nicholas. He says the protocol is based on national treatment courts, which are an alternative to incarceration. “At first blush, it’s probably easy to paint with a broad brush and say ‘well you’re not sending people off to prison so they’re getting off easy.’ And I would say, now that I have been involved, it’s probably the opposite. It’s a hard path to complete. But if you do complete it, I think it’s really worth it to the participants and society,” Judge Nicholas says. As a former prosecutor, Nicholas says he’s always been “tough,” but this population responds to a different kind of toughness—one of camaraderie, respect, moral code and accountability. Nicholas realized his calling to treatment court when watching football one day. An ad came over the TV, he said. “There was a desire to expand treatment courts, and I thought if there was anyone in the criminal justice system that deserved another chance at trying to change their lives it was those who sacrificed by giving to our country,” says Judge Nicholas. David Driscoll is one of the many vets in court on this day. He says he served in the Army for three and a half years before being “chaptered out”—or, as he describes being “asked to leave politely”—related to his drinking. He’s had a number of DUIs since leaving the service, he said. Finally, he determined that treatment court was his only alternative to prison. “The team is really, really helpful. They are very understanding. When I started seeing in their eyes that they wanted me to succeed and they felt I could succeed—I started to feel like I could succeed,” shares Driscoll. Driscoll proudly shares he is 15 months sober for the first time in his adult life. He’s slated to graduate from treatment court in December. Driscoll says the when he first began, the requirements “seemed like a mountain” to him. “My self-esteem is…I have some and I didn’t have any before. I have always been the type of person who lived off of other people… whether it be a woman, my mom, my grandmother, or friends. I never accepted responsibility. I’ve learned about what responsibility really is, I used to think it was an obligation—moral or ethical. Now I know it is a response with my ability to a situation, it’s not an obligation,” Driscoll explains. Veterans in the court are paired up with a veteran mentor. Driscoll is currently working to complete 480 hours of community service. And the accountability of the people in this courtroom, he says, keeps him moving forward. “Standing in front of the judge and having him shake my hand was so uncomfortable. When I used to stand in front of the judge my eyes watered—I would cry—[tearing up] because I just felt unworthy. And I felt that these people don’t know who I am that’s why they see something in me I don’t see.’ But I don’t feel that way anymore [as he smiles],” says Driscoll. 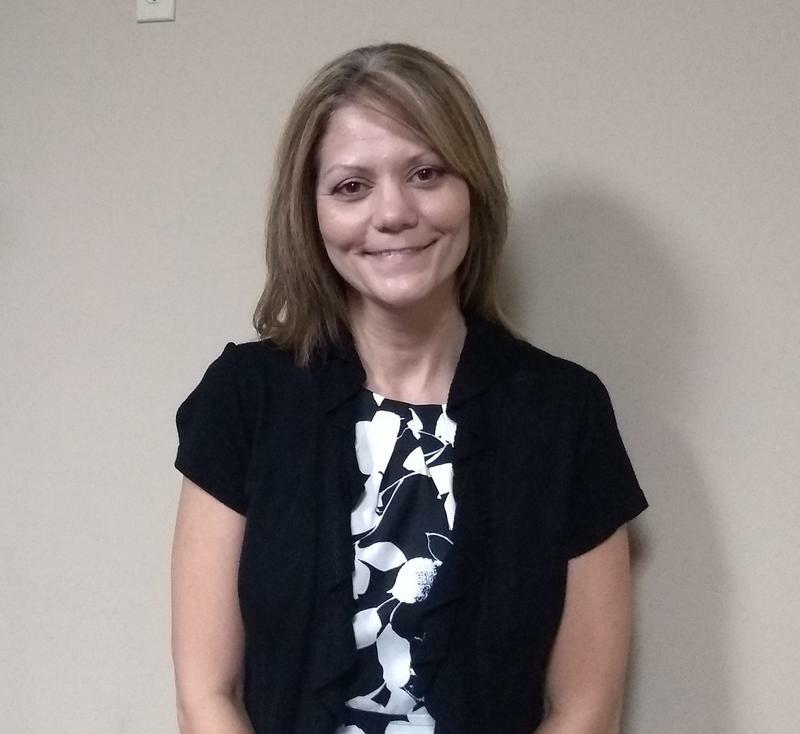 Mary Vanderberg is the Veteran’s Justice Outreach Coordinator, or VJO, with Veteran’s Affairs. She says she echoes the sentiment that treatment court is much tougher than prison and that some veterans choose to serve time rather than adhere to the rigorous requirements. Vanderberg says the end results speak for themselves. “The recidivism rate, the re-incarceration rate, the re-offending rate is extremely low for participants who have successfully completed treatment court nationwide. I think that speaks volumes. Someone can go to prison, but their chance of re-offending is far higher than someone who completed treatment court,” Vanderberg shares. Vanderberg says a hallmark of treatment court is that it addresses underlying issues of substance abuse or mental health. She explains camaraderie is a core principal for veterans—and that carries over into veteran’s treatment court. “Pairing them with other veterans who they can then build a relationship with. 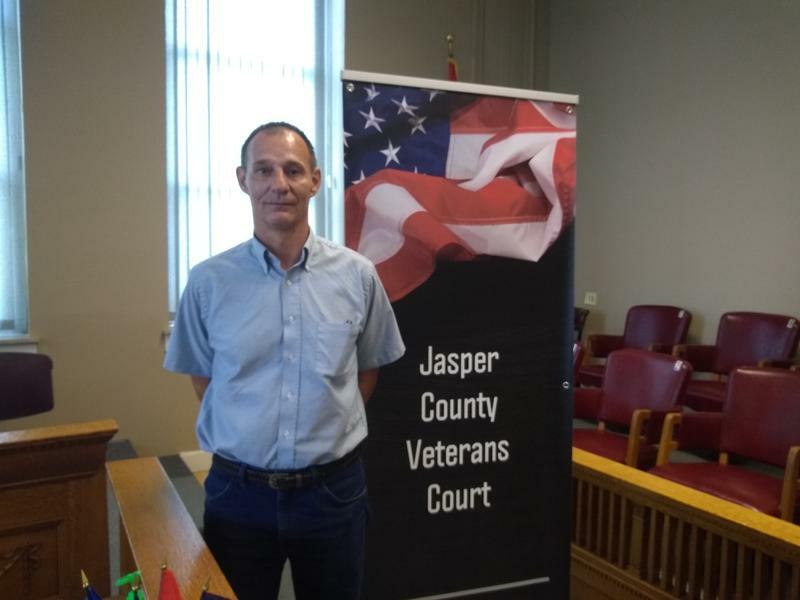 They can then build some trust in not only their fellow peers that are participating in the court program, but other veterans that are volunteering their time to be a mentor—a confidante—for them to help them when times get tough,” Vanderberg explains. The Missouri Attorney General’s office also has some legal services for military members and veterans. The Military Legal Assistance Team, or MLAT, is head up by Scotty Allen. Volunteer attorneys across the state provide pro-bono, civil legal advice. One of the services these lawyers provide veterans is free estate planning workshops. “And [we] provide an attorney for these folks to sit down with to talk about any legal issues they might have—a very quick consult type of service. And also produce wills and power of attorney if they need those sorts of things,” Allen explains. Click here to learn more about the Attorney General’s legal services for military members. Click here to find out about Veterans Justice Outreach.